HARGA TESTIMONIAL PREMIUM BEAUTIFUL KORSET: dahla FREE trip, best plak tuuuu woohooo! The Story of A3 in Ho Chi Minh City, Vietnam (2012) from alfaath on Vimeo. Travel to Vietnam, Ho Chi Minh City 2012 from Razali Zain on Vimeo. camnilah seronoknye FREE Trip dengan Hai-O! 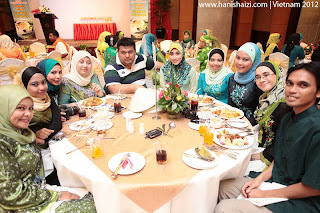 Seriously, rindu sangat dengan semua kat table ni! they have taken their step forward- what about u?